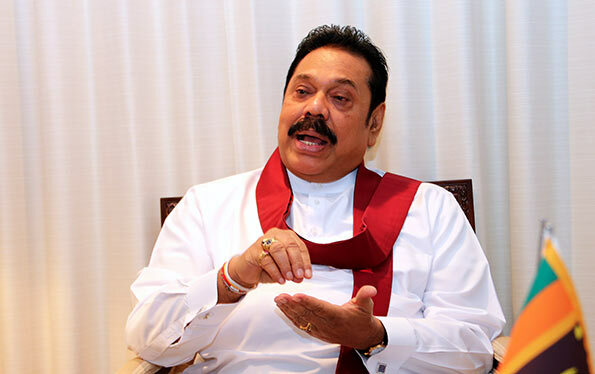 Former President Mahinda Rajapaksa yesterday said at present there was only a proposal on the table to form a coalition government and re-iterated that there had been no discussions in this regard as yet. Responding to a question raised by a journalist at the Abhayaramaya in Colombo, Mr. Rajapaksa said there was only a proposal on the table at the moment. “We want to intervene to prevent a crisis in the country in order to help the people. However, there is no talk of a coalition government. There is only a proposal. We don’t know until it happens and the chances of it happening are extremely slim. However, if a proposal comes from that side, then we can decide on it as a party,” he said. When asked about the fuel price increase, he said no one even knew anything about the fuel pricing formula or how it is calculated. “What is this formula? Neither the President nor the Prime Minister know about this formula. Even the Finance Minister has said he doesn’t know it so then who is supposed to know? The rupee depreciation is also a cause for this fuel price increase. This clearly shows the the government is incapable of running the country,” he said.